Closeout. 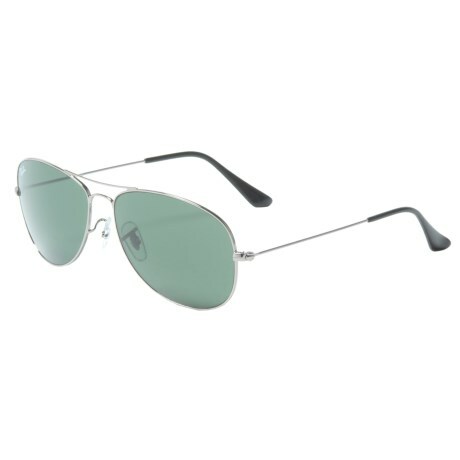 Ray-Banand#39;s Cockpit Aviator classic sunglasses combine the unmatched clarity and UV protection of mirrored glass lenses with the superior durability and fit of the metal frame. Available Colors: SILVER/GREY, SILVER/GREEN CLASSIC.